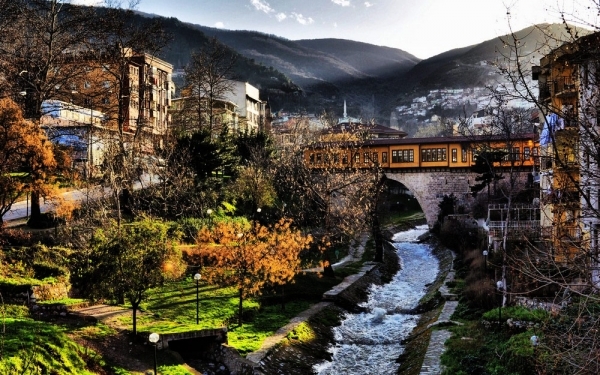 Ride with us to picturesque “Green Bursa”! Book with us for best local guides for Daily Bursa Tour from Istanbul. Offers not only fresh air from the lush vegetation and the vast forests, but also all the advantages of a big city, by being one of the fourth biggest cities in Turkey! One of the top recommended tour "Daily Bursa Tour from Istanbul by Bus"
Bursa Tour starts from your hotel with pick up service. Our Local guide will be ready at your hotel at indicated pick up time on your confirmation voucher. Bursa tour is a daily depatures tour from Istanbul everyday. We advise you to book your tour as much as early becasue this is one of our most popular tour. Bursa served as the first capital city of the Ottoman Empire, from 1326, when it was conquered from the Byzantines, until 1365 where the capital moved to Edirne. In present times, Bursa is an industrial hub and is also famous for silk weaving and fruit processing units. Rich merchants on the Silk Road were the main contributor for its richness and wealth. This city has many famous places from Ottoman architecture monuments, to silk laden bazaar. You will able to visit historic sights of the city which dates back to the early period of the Ottomans. You will surely be mesemerized by what the city has to offer. Another well-known seesight, is the mountain Uludag which rise behind the city. You can also relax few hours at a thermal spa bath or go for shopping to the silk filled bazaars! Do not miss the Daily Bursa Tour from Istanbul by Bus. I would like to book a day Bursa Tour on 29.04.19 from Istanbul Laleli for 2 adults. Thank you very much for your kind interest in our Daily Bursa Tour. We will forward your message to our tour operatör and she will contact with you and assist you for all your needs. Thank you very much for your kind interest in our Daily Bursa Tour from Istanbul by Bus. Thank you very much for your kind interest in for our Daily Bursa Tour from Istanbul by Bus. We have sent you complate program and waiting for your confirmation. We will be happy to see you at our Daily Bursa Tour from Istanbul by Bus. Do you have Bursa tour on Saturday? Thank you very much for your kind interest in our tours and services. We are happy to inform you that we operate this tour everyday all year around. Please kindly click below link and fill in the booking form or just send us message on whatsapp. We will let you know the pick up time from your hotel according to the location of your hotel. I came with my family to Turkey and it was great to seek your services Bursa Tour. I must say that your package for Daily Bursa Tour from Istanbul by Bus is one of the most relaxing trip that we had. Everything was so well managed that my family and I are again planning to visit Turkey for longer duration this time. Thank you very much for your kind review about Bursa Tour. It was a pleasure for us to see you at our Bursa Tour. We will be happy to see you at our other tours such as Sapanca tour, Bosphorus Cruise, Dinner Cruise etc. I recently went on one of your Tours; "Daily Bursa Tour from Istanbul". I really enjoyed a lot as it was one of the most comfortable and relaxing trip that i ever had. I went on the daily bursa tour from istanbul on bus with my family. It was a good and relaxing experience. I will strongly recommend my friends and family to opt for your tour. we are very happy to hear that you enjoyed your Daily Bursa Tour from Istanbul. We will be happy to see you at our other Turkey Tour Programs. Thank you very much for your kind interest in our tours and programs. Actually we operate this tour (Daily Bursa Tour from Istanbul) everyday. However we have high demands for peak season and holiday seasons. So that advance reservation for Bursa Tour recommended.